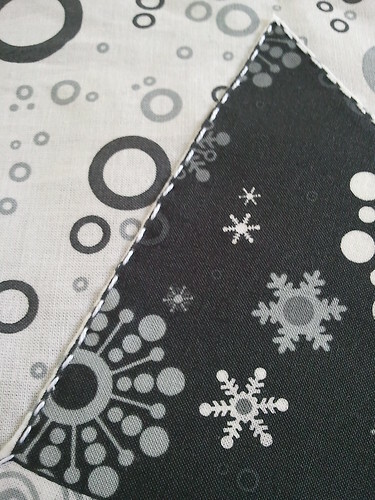 Sew Festive Handmade: My sewing machine was feeling so neglected! My sewing machine was feeling so neglected! Today I've planned to be extremely sewing-productive. I got up super early, gathered and made sustenance in the solid and liquid form, and mapped out my day at the machine. I don't want to hand-stitch anything for at least two weeks. I love handwork, I do**. But if I had to guesstimate how much embroidery I've done over the past two weeks I'd say it's taken at least 24 hours. That's right. I've lost a WHOLE DAY to embroidery. Machine sewing, pleeasseee. **Case in point: I could not be more pleased with all my Potter Patterns, and I love that they're hung right next to my sewing machine. And today's the last day you can get the 8-pattern bundle for $28! Oh and I also sewed lots of nine-patches last night. 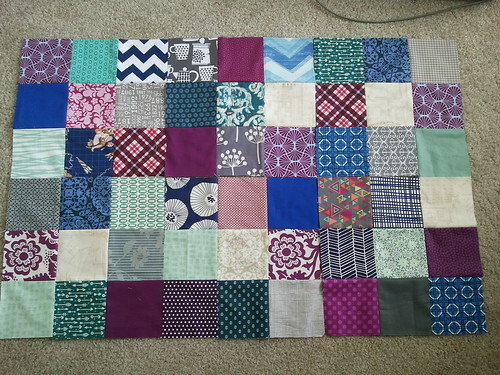 I need 56 of those blocks for my queen-sized quilt. I didn't feel like moving my furniture to lay out the quilt, so I chose the method of just pulling random squares and sewing with abandon. Ok, maybe not abandon, because as you can see I laid them out a bit. Each stack has multiple prints of the same color within it. I just wanted to make sure that I didn't end up with 10 squares of that Washi print with the last nine-patch or something horrific like that. I've never done that kind of sewing before, because I tend to like a balanced randomness [I think that's an oxymoron?]. But I sewed after I watched Project Runway, and decided to be a wild quilter [an example of what non-quilters think is an oxymoron, ha!]. 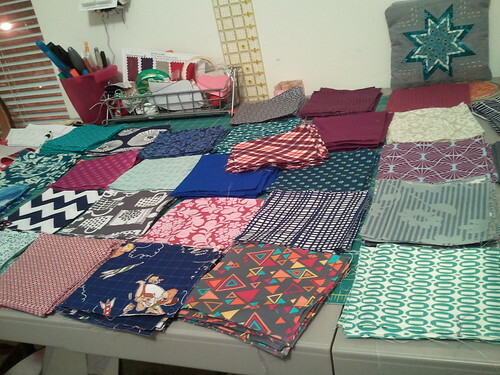 Um, only a million more blocks to sew. Did I mention this needs to be finished by next week? 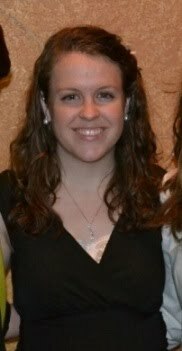 You are a night owl! 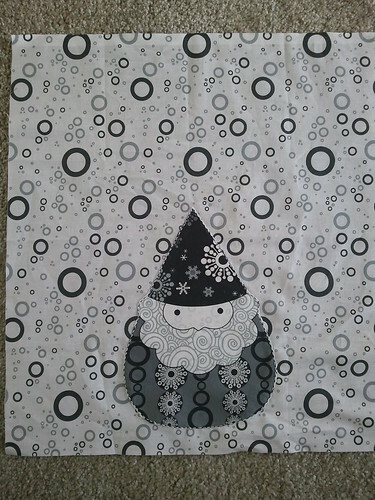 The embroidery is gorgeous, love the gnome and the fabric squares are utterly lush! 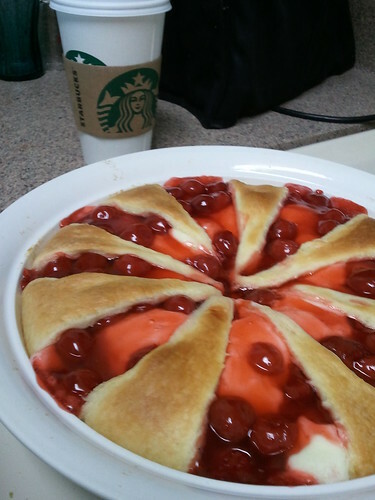 What is that delicious looking cherry dessert-y thing??? I MUST know! What's on my sewing table? 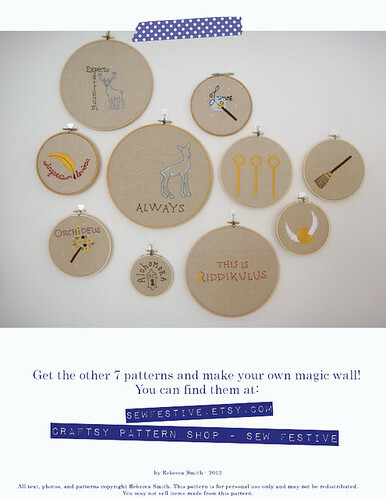 Potter Pattern Reveal, Day 2! Potter Pattern Reveal, Day 1! 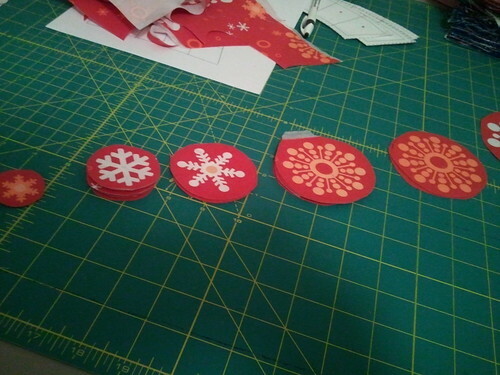 Winterkist Blog Hop coming soon!